The Briton 2130 Back Checked Size 2-6 Silver Door Closer is power alterable between sizes 2 to 6 making it a perfect option for the majority of door applications up to 1400mm wide and 120kg in weight. 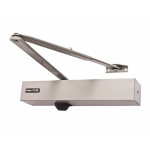 A heavy duty fire door closer suitable for use in public buildings including schools, department store and hospitals. 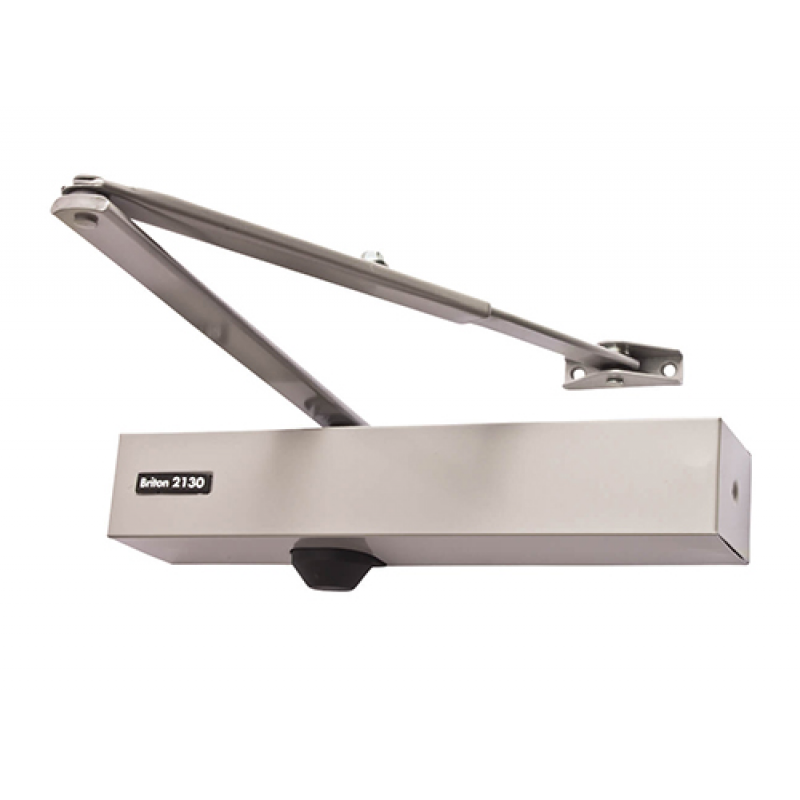 Features adjustable back check in order to help stop damage to the door and adjacent walls when it is forcibly thrown open. Comes complete with fixing packs to suit all standard fitting applications.